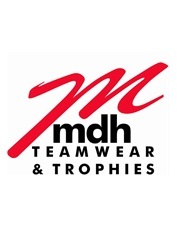 Unlike many other web-based only companies, MDH Teamwear & Trophies has 2 dedicated teamwear, equipment & trophy showrooms across the Midlands, where once you have short listed items of interest from our website, you can get up close and personal with the actual products instore, before placing your order. This facility to double check removes any lingering doubts that when we complete your order, it will look exactly how you expect it to !! Click on any of the links below to take a closer look at your nearest location and if you would like to book a one-to-one appointment with any of our branches, click on the contact us tab to get in touch.